Private ground transfers to and from Cancun International Airport. Please arrive and depart from Cancun airport between 9am and 5pm. 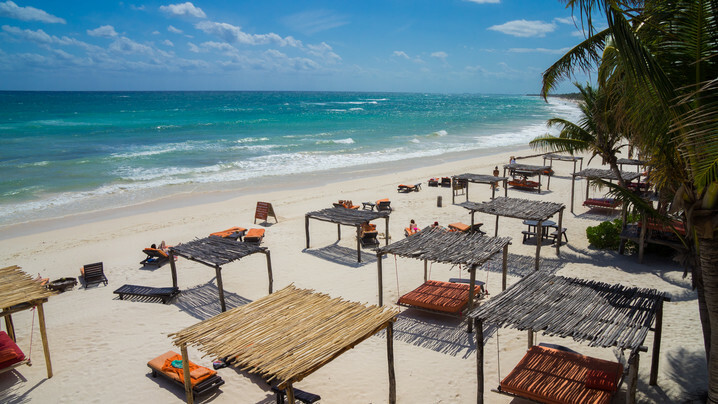 Not included: flights to/from Cancun Airport (CUN) and travel insurance. Guests are responsible for purchasing travel medical insurance and cancellation insurance which are also not included. 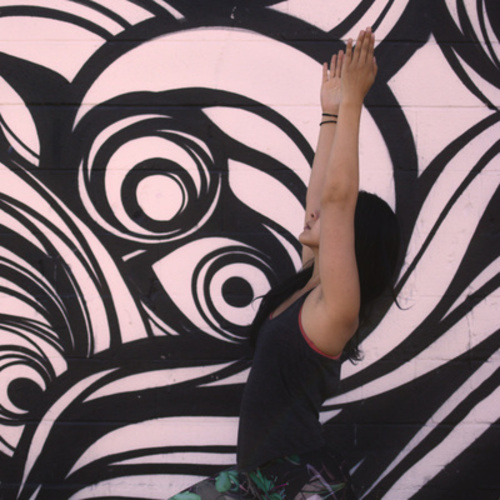 Julie Tran is an LA-born native with a secret identity as a NorCal Rogue Yogi. As a former Tech Geek, she completed the Yoga Alliance-Approved RYT-200 Hour Teacher Training with the Mukti Yoga School at The Green Yogi, Manhattan Beach. Through this journey, she shifted from a clumsy beginner to a passionate teacher on a mission to provide love back to the eclectic communities of SF and the East Bay. Her unique formula to stretch your level of Greatness: Yoga Movement + Mindset Work + Music. Julie's all about Daring you to be Stronger. In the Mind, in the Body, in the Spirit. Let's make this trip an unbelievable one! Amazing! Tulum is so magical, with pristine and warm ocean water. All the tours were so fun! The food was so healthy and delicious at the resort! 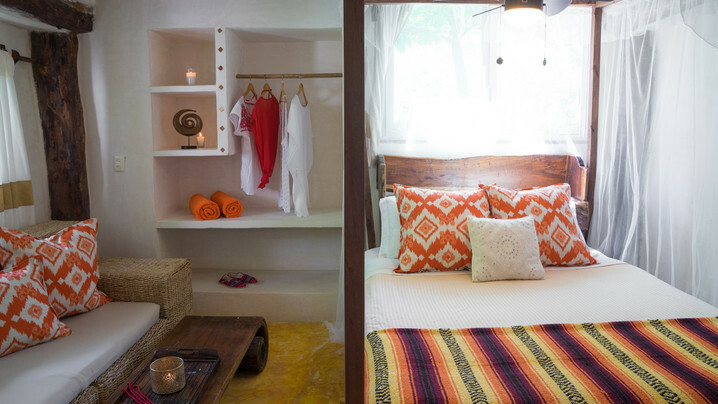 This was our 6th retreat to Tulum, but first time using TripTribe and Amansala. There were pros and cons to each. Ultimately, our guests had a lovely experience! There was a lot of construction happening at Amansala because it is low season. They did there best to accommodate us. Thank you for a superb week in Tulum. Growing, stretching, connecting, deepening, learning with Maureen & Maura and all of our group was a heartfelt, memorable experience. This trip should be a life requirement. It's a special magical place with magical people teaching us that life is meant to be lived and to slow it down. It will all be ok. I had been meaning to attend a yoga retreat for many years. In researching where/how/when, Karen Fabian came highly recommended for this trip to Mexico. 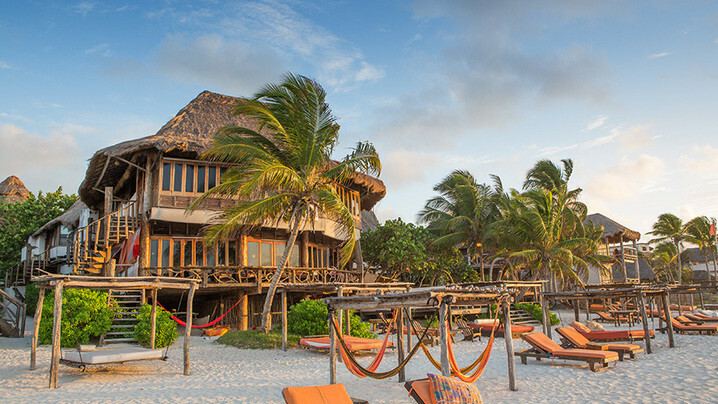 While I had visited Cancun and Playa del Carmen, I had never stayed in Tulum. With interesting places, a known yoga teacher and a beautiful yoga studio right above the sand, my brother in-law and I booked the trip. The studios were breathtaking and provided all necessary mats and props (blocks, blankets, singing bowls and straps) The grounds were also beautiful with many hammocks, friendly dogs and bikes to take to a near by shopping center or to the Ruins. I was pleasantly surprised with the food. I was a little nervous because I rarely eat well on a regular basis but found myself eating foods I typically would not. I would add a little variation to their breakfast would have been appreciated as most of us had the same thing every morning and sometimes at brunch. While there were some issues with our room, during the stay staff were also gracious and friendly. They were also very accommodating to english speakers as well as providing daily excursions, I only took advantage of two. Mayan Clay Ritual was done right on the beach with a powerful meditation done right on the beach of Amansala! And Grand Cenote was close by and provided a quick glimpse of a beautiful cenote with fish, turtles and a beautiful cave structure. It is important to remember this is a yoga retreat, but we did have an AC in our room that would shut off on its own and internet was infrequent. Overall, the stay was near perfect! Not enough could be said about Karen Fabian and her well structured yoga and meditation and she could not have picked a better studio than at Amansala. This was my first ever yoga retreat and it was definitely amazing. This trip was transformative to the mind, as well as the body. Two thoughtfully led practices were paired with questions designed to open up our minds to the possibility of change. Our daily schedule was super relaxed which made the trip even more enjoyable as there was plenty to do in the area to keep busy. 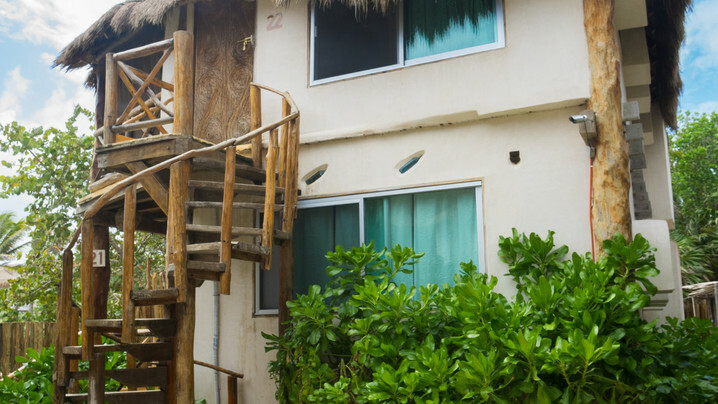 Our accommodations at Amansala were spacious and the natural beauty of Tulum definitely make for a relaxing environment. The staff were super friendly and really tried to make our stay great. 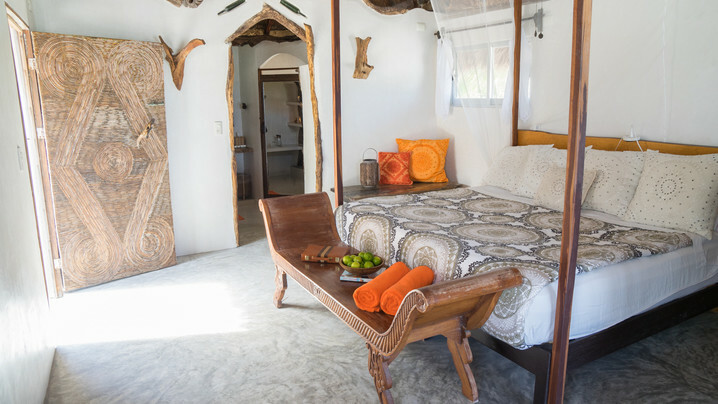 I would definitely return on another Yoga Retreat planned by the lovely Karen Fabian. Wonderful! Loved every minute! I am the trip leader so I will leave a review there! The location is amazingly beautiful. The staff was friendly and the spa services were top-notch. The facility however is tired and frayed, though very clean. The common areas are very nice but many rooms are small, dark and airless and there are no fans provided. There are burned out light bulbs and screens are missing. This place needs a face lift. we had a wonderful time- they were many pros but a few cons that will help me organize an even better trip next time. 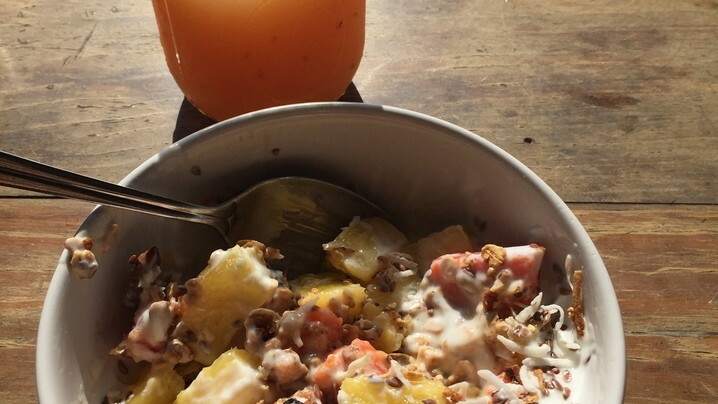 Excellent, healthy food choices, combined with daily exercise, a sunny beach with blue ocean waters, and a great group of fun ladies, made this the perfect get away for me! Loved the beach and the pilates and food. Rooms were just ok. Many asked for a fan for their rooms or wash cloths and they could not provide. Customer service by the resort was definitely lacking. Also tried to charge us $5 more than stated price for interenet useage. 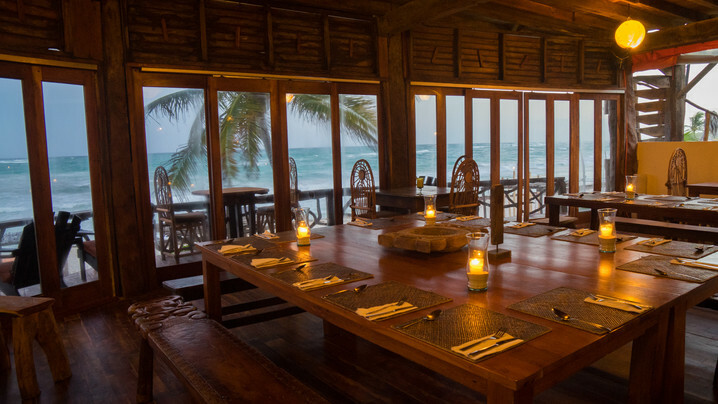 Join Julie's Tribe and stay up to date on their trip!